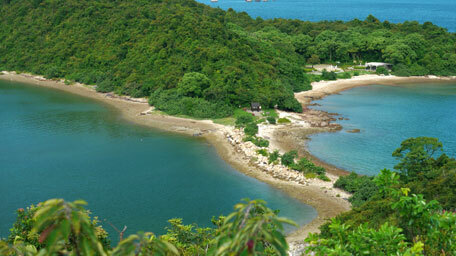 Ma Shi Chau is a special area of protecting the various volcanic rocks and the ecological environment, located in east of Sam Mun Tsai within Tolo Harbour. 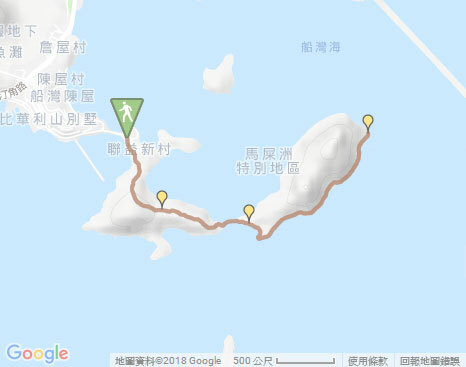 To pass through the sandbank from Sam Mun Tsai to Ma Shi Chau, pay attention to the official announcement of the tide times there. 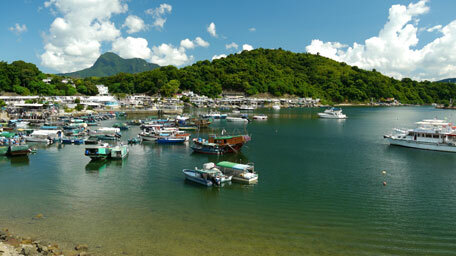 From the bus stop of Sam Mun Tsai, you could overlook the full view of Pat Sin Leng northward and the coast of Sam Mun Tsai village by going back to the embankment along Sam Mun Tsai Road that links Yim Tin Tsai. 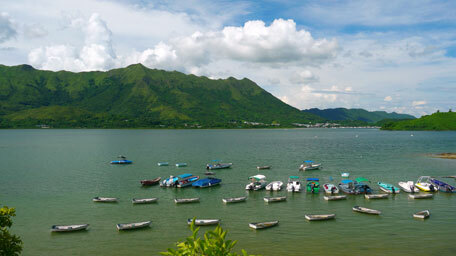 Some of the boats are parked in an orderly way. 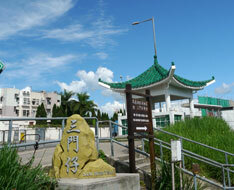 Afterward, go back to the bus terminal, then take the concrete path to Sam Mun Tsai village on the right beside the pavilion. Beyond the houses of the village ahead, turn left at the first public toilet, then follow the uphill path behind the second public toilet. 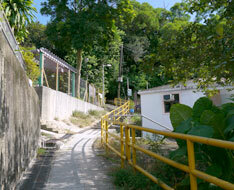 After passing through the cemetery, the route gradually opens up. 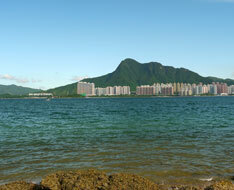 Toward southeast, it gives a full view on Ma On Shan. 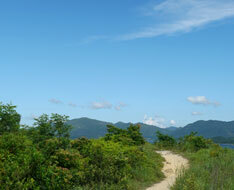 Head the trail, you soon see Ma Shi Chau ahead linking with a sandbank. 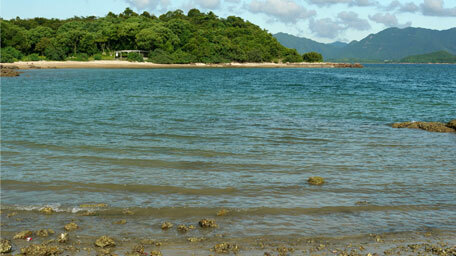 Going down and running through the sandbank, it arrives at the pavilion of Ma Shi Chau. There is also a timetable about the tide times for reference. Note: Before going through the sandbank, pay attention to the tide times. 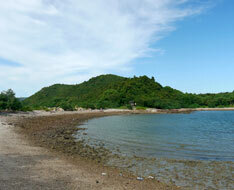 Follow Ma Shi Chau Nature Trail on the right, it skirts along the southeastern coast. 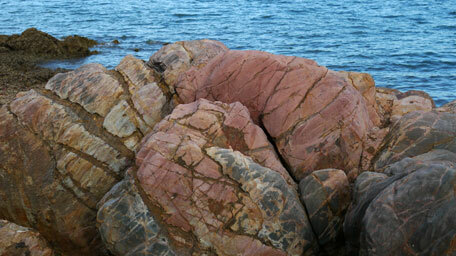 You could see the various formations of rock and the rich primary plants along the rocky shore. 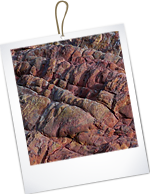 It is a good place for studying in geology and ecology. 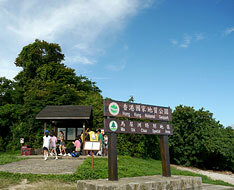 At the end of the trail, retrace your steps to the pavilion, then return to Sam Mun Tsai village. 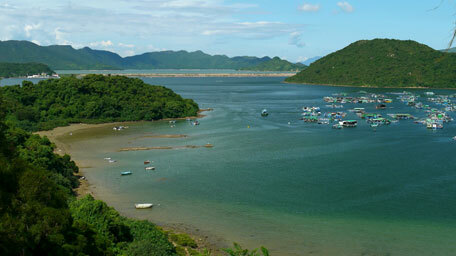 It is good for a short hike that offers scenic views over Pat Sin Leng and Tolo Harbour, as well as could observe the rocks and plants along the coast.